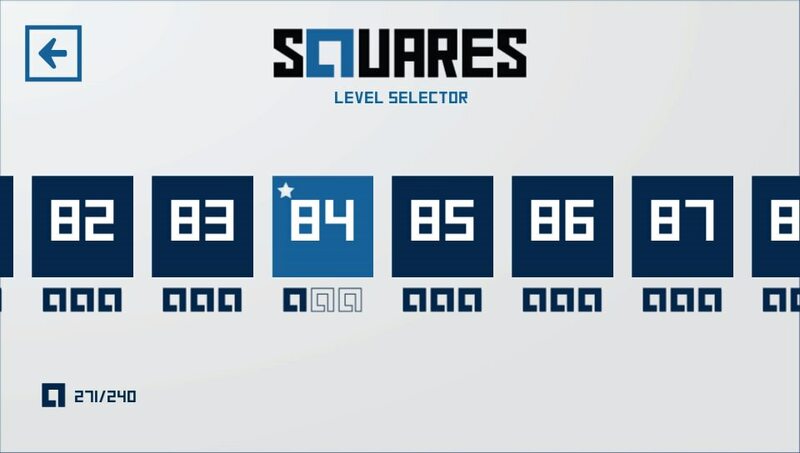 Ok, so I've been able to get 3 squariness across all levels except level 84. I can't even get 2 squariness on it with a best time of 2.385 seconds. 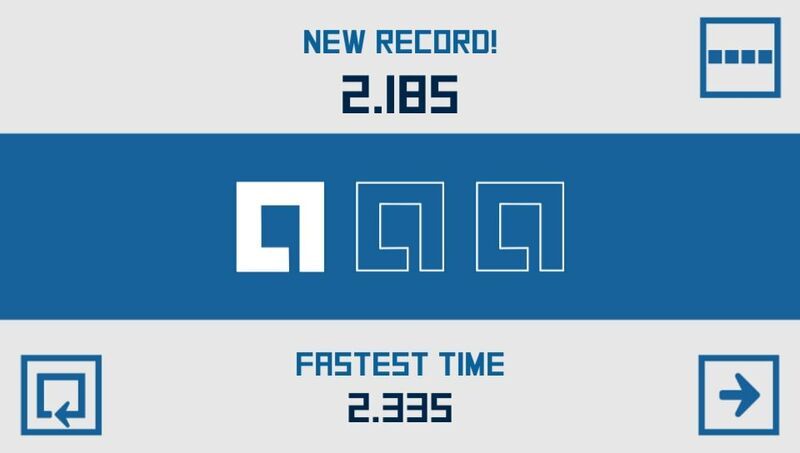 Has anyone been able to get 3 squariness on this level? Is it even possible to do? I have confirmed with the Devs that this level is glitched and is currently impossible to get. You need a time of .7 seconds to get 3 Squariness. They are working on a Patch to fix the error. Until then, 100% is not obtainable. Yup I reached out to them as well and was told that there will be a patch. And .7 seconds? Ouch, haha. Heads up for EU folks who got this on PS+. Make sure to check for the patch before you start if you want the 100%. It doesn't seem to exist for me so might be US only... Sadly I didn't realize until I'd spent the day doing all the other lvls... 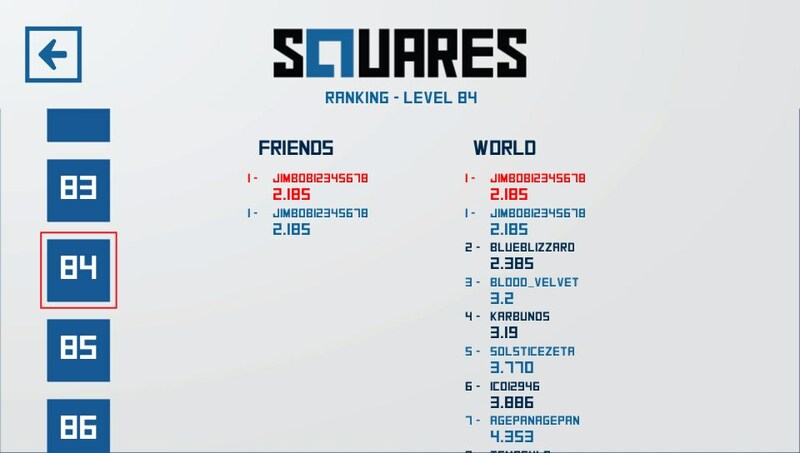 I'm 1 star on lvl 84 but number 4 on the world leaderboard lmao! I did get it on PS+ but have not started it yet. So thanks for the heads up, I will check before I start the game. So yeah, no patch for EU it seems. 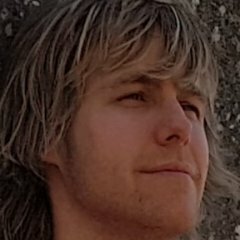 Edit: Just got confirmation from the devs that a fix is not coming for EU. Well, I'm glad I didn't try too hard to get the 3 squares on my first play. I guess I'm done with the game then. Sad that Sony keeps giving us broken games for PS+. Fuuuck me. Just finished the game and only now do I see this. Did they give a reason? I can't imagine it would be a hard fix, surely it's just changing a single number. Thankfully I hadn't dived into getting 3*'s in all of the levels yet, saved me a good few hours. "Yes, sorry, we just double checked that and we never released the update for Europe. It's tough now as we released the game in 2015 and we are no longer in the capacity to support the game. I think getting one star on that level will be the highest you will get, thank you very much for playing it and for your understanding." So yeah, that's it. I agree that it shouldn't be a hard fix given that the patch is out elsewhere and the game is exactly the same for all regions as far as I know. Keep hearing that Devs get money if their game is on plus too so if cost is the factor it shouldn't be an issue. But who knows! What the f*ck!!! What money do they need? Shouldn't we contact Sony to upload the same game version to EU store? What got devs to do with that? Ok, does not some regulation apply for this? If one region receives fixed game and another one broken, does Sony have any word on publishing the games? As far as I know it cannot be published without their approval so I think they should be (or at least they should have to be) able to push the devs to fix it or to change the version of game on store. 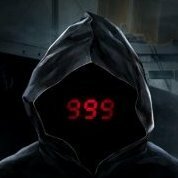 Can someone post mail address to devs? Maybe if we spam them they will change their minds? For games like this that are the same in all regions I have no idea why there are even separate versions in the store at all. But it's not like I know how the store is put together internally so there could any number of reasons why this hasn't been fixed for us. Either way it does seem like SONY could just give us access to the patch that is on the US/JP PSN if they wanted to. I like this game and can only play the european version. Allready started after reading its glitched. I emailed the developer, i advise you all to do the same. 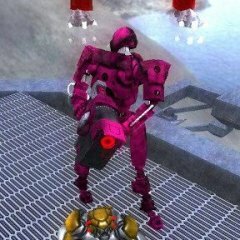 I dont think it will be much effort to release an existing patch on the eu stores. I have no idea if it is technically feasible and if licenses permit it, but if Sony could just give EU users access to the NA version then all would be well. If a patch exists, then shoudl be easy to fix it on another region. Im also gonna send my complains to sony support. Thanks for reaching out and for playing the game. We've contacted Sony to see if they can help us with a couple of things we need from their end to see if we could work on the EU patch. As the game was released in 2015 most of the tools that we used in that moment were updated, so we still need to figure out that. I can't promise anything at this time, only that we are listening and trying to find a way to update the game." Got the same reply, this indicates they are getting complaints. Also complain with Playstation support. Got this reply 29th of June, thought i would post this. Looks bad. No news yet, we haven't got any reply. I will follow up but I don't feel we will get the support needed to release a patch. I will contact you if there's any news about this in the coming weeks. with the account swapping trick, this is not a problem anymore.